January | 2006 | That Mall is sick and that Store is dead! This is one of the old Miller & Rhoads ads I found in newspapers my dad kept from the 1980’s. I took this back in March of last year when I started to do research on Newmarket North/Newmarket Fair mall. Unfortunately, the building is too big and BJ’s has to tear it down before they start building. The local location will end its sale Saturday and close its doors in early February. HAMPTON — The Toys “R” Us store on Mercury Boulevard will end its liquidation sale Saturday and the store will close in February. The location is one of 75 Toys “R” Us stores in the United States that will close permanently, while 12 other locations will convert to Babies “R” Us stores, according to an SEC filing dated Jan. 9. The company, which became private last year, said the closings were the result of a comprehensive review and evaluation of the American stores over the past few months. But the company identified “principal challenges and risks” to the company as increased competition from discount retailers Wal-Mart and Target, declining video game sales in the stores and increased competition with specialty retailers such as Electronics Boutique and Gamestop. The employees at the Hampton location were notified in December that the store would close, but the company didn’t announce the closings until last week. 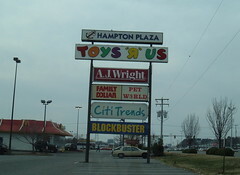 The Hampton store began its sale after Christmas. The four other Hampton Roads locations – Newport News, Chesapeake, Norfolk and Virginia Beach – will remain open. The Hampton store’s 29 employees are moving to other locations, including the Newport News store on Jefferson Avenue, or receiving severance packages, said Kathleen Waugh, a company spokeswoman. 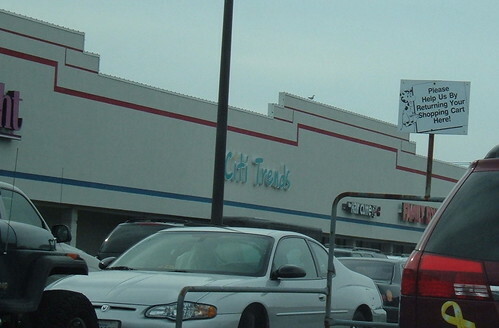 A yellow banner announcing the sale hangs over the Hampton store’s logo on the front of the building. Many of the windows are taped over with signs announcing markdowns of up to 70 percent. By Monday, the remaining inventory had been put in the front of the store, leaving the aisles and shelves in the rear empty and blocked by yellow caution tape. A recorded message blared over the intercom system, announcing that the fixtures were on sale. Bikes, stuffed animals, candy, videos and electronics, including video game console accessories, were marked down 50 percent or more. 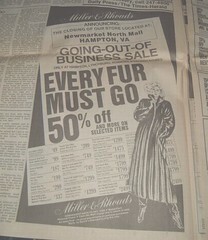 Signs also warned shoppers that the store no longer honors coupons or promotional ads because of the large discounts. The liquidation will cost the company about $155 million, including $45 million lost to inventory markdowns and fees, according to the filing. The closures are also expected to eliminate 3,000 jobs nationwide. I wonder why the sale is ending Saturday, but the actual store isn’t closing until February. I guess because of the fixture sale. Too bad all they are really selling is cash registers and shelves. I want a shopping cart or the aforementioned doormat. 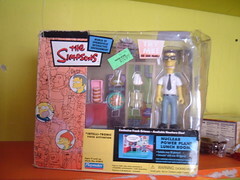 Yesterday’s Find Of The Day on foundmagazine.com has Geoffrey and Baby Gee from Toys R Us in it! The Toys R Us in Hampton, VA that I lived in until I was 10 is going out of business along with 70-something other locations. 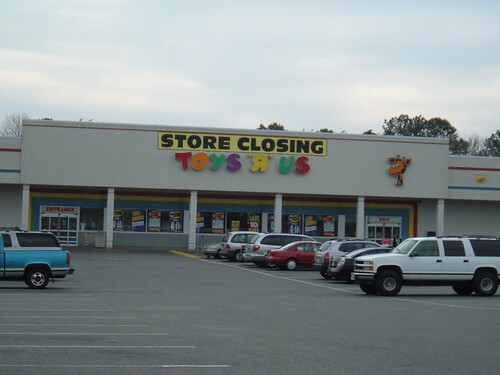 This store is in pretty poor shape (it’s been a Toys R Us since either the late 70’s or early 1980’s) but I always held my breath every time Toys R Us did a massive closing, but this one just didn’t make it this time. Geoffrey telling us where to put the carts at for the last time. 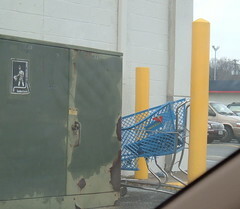 A busted up plastic cart (most of the carts in the store were the old timey metal kind) sitting next to the store. Mom and I always parked on the side of the store. I still remember every detail when we parked and walked up the sidewalk to the store. This broke my heart the most. When I was little mom and dad would take me here about 3 times a month, we’d always drive to the back of the store to get out of the shopping center, and I always looked to see if the big Toys R Us truck with Geoffrey painted on it was there. ‘Cause Geoffrey was my freakin’ idol growing up. I almost cried when I saw it was still parked back there. The fixtures were also for sale in the store, and I asked if I could buy the doormat with Geoffrey on it, but the manager said it was not for sale because the store’s name was on it. I think some of the workers (who were in surprisingly good spirits, they must of gotten a great severance plan) really wanted me to buy it. There was even one guy who worked there who was riding a bike around the store. I wish I could’ve gotten a pic of that! As I was driving away from the store I waved “bye bye” to it and this woman crossing the street probably saw me and thought I was batshit insane. No wonder this place is going out of business, its out in the middle of nowhere. The only way I found it today was when I drove around the the back of this shopping center in town. It seemed to have a following though, judging by the books on the shelves this place has had to be here for fifteen years or more. And I’d say you’re researching, no? you can’t, I can send it to you if you want it. and 52 video game parlors. Online access is provided for research purposes only. contributing institution. Contact information is provided below.